Portugal possesses an extremely rich and diversified culture, acquired due to its secular existence, several people that occupied Portuguese territory (Phoenicians, Carthaginians, Lusitanians, Romans, Visigoths and Moors) and, of course, the history of Portugal, especially during the Age of Discoveries. Thanks to that, the Portuguese culture and language still play an important role in different parts of the world, mainly in Brazil and some African countries. For those who want desire to more than a sun and beach holiday, it is possible combine it with cultural activities. 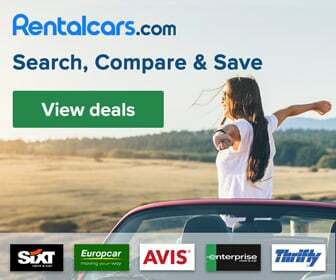 The Algarve has a rich cultural heritage, with many Moorish castles, Roman ruins and bridges, many churches and cathedrals, some ancient monasteries, fortresses, old lighthouses, as well as ancient towns and villages. In this case you can start looking for information in the cultural heritage guide from the Algarve Tourism Board. 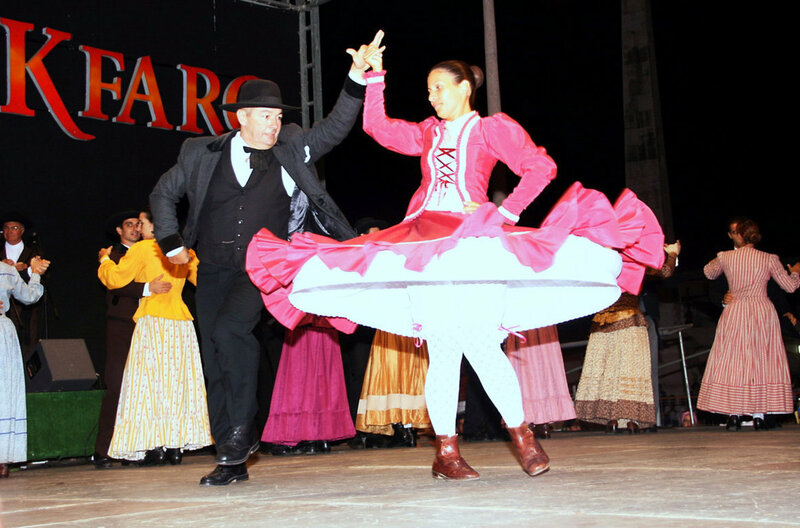 The traditional dance of the Algarve is the corridinho. Besides being an energetic dance, it is colourful and full of joy. It is danced in pairs, strongly clinging to each other, in a circle constituted by various couples. Corridinho was danced on special occasions in small villages in the Algarve and was part of the traditional culture of rural and fishing communities. Nowadays, there are still folk groups in many villages and corridinho belongs to the regular entertainment offered by hotels and festivals in the region. If you have the opportunity, try to dance it and to twirl without falling! 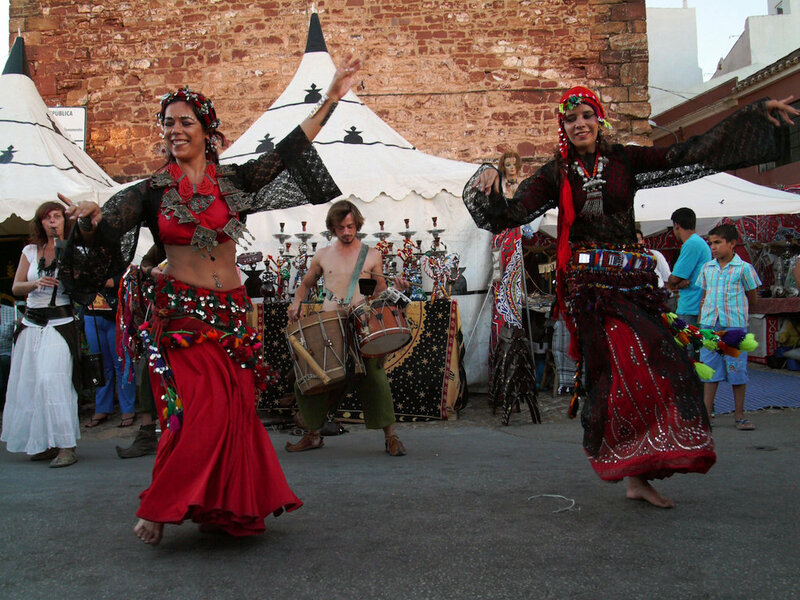 Because Algarvian people like folk dances, the city of Faro hosts a folklore festival every year, called FolkFaro. It draws in a big amount of people during the summer. It usually takes place on the square near the city’s docks. Although fado originated in Lisbon and belongs to the most important traditions of the Portuguese capital, Portuguese people from all over the country like fado and identify themselves with this music, which better than any other artistic expression represents the Portuguese culture. In 2011 it has been declared World Heritage by UNESCO and since then fado has grown in popularity, being performed all over the country and abroad. Also in the Algarve you can appreciate this music in some local restaurants, or when visiting towns like Tavira, which offers fado performances as part of the local cultural and entertainment programme. One of the main traditional activities of Portuguese culture in the Algarve, for centuries, has been fishing. This has caused the appearance of several related traditions and festivities. 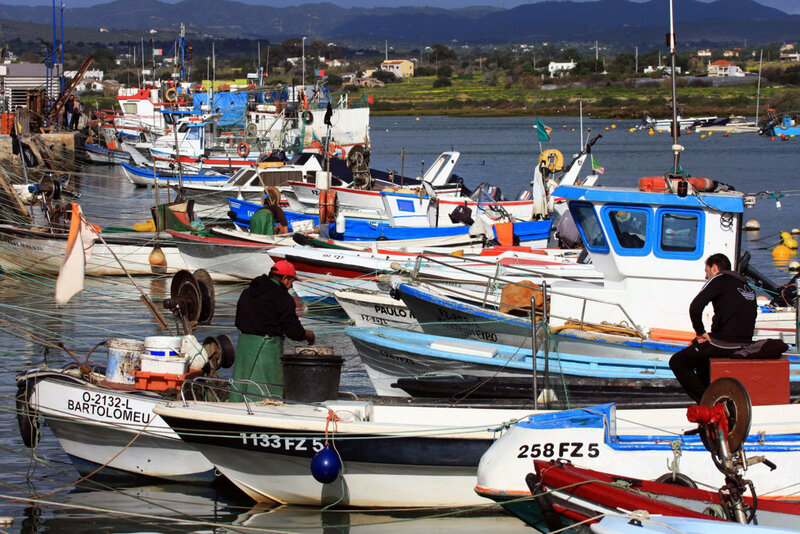 Algarve’s most important fishing harbour is Olhão, where a big part of the fishermen community lives. There you can visit the municipal markets, built in the beginning of the 20th century, and walk amongst a variety of fresh fish, vegetables and fruits, fished or produced by natives of that area. It is the perfect place to visit if you intend to learn more about fishing traditions and people. In Quarteira, every year on 7th and 8th December, the most important religious festivity of the town occurs. 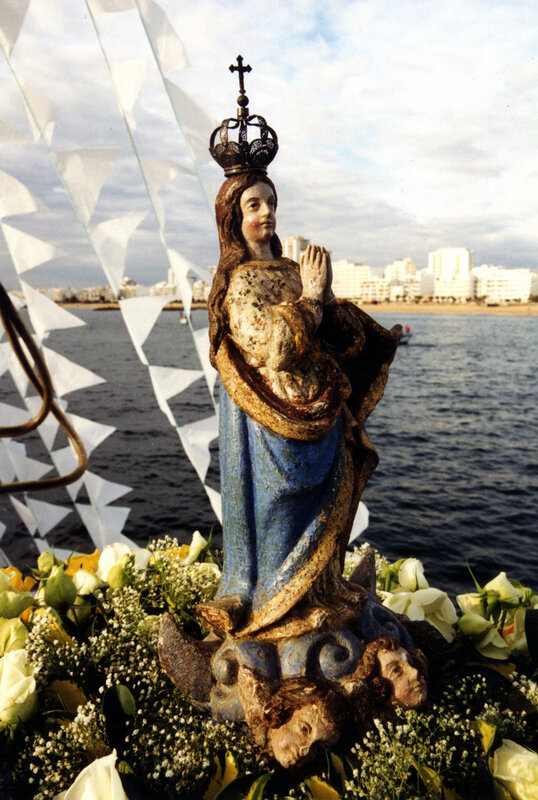 It is the Festa da Nossa Senhora da Conceição, in honour of Our Lady of Conceição, the protector Saint of the Fishermen. This is a very antique celebration, over 200 years old. It started when the Lady’s statue was found entangled in the fishing nets during faina (collecting the nets). Since then, during these days, a candle procession accompanies the figure of Our Lady to the shore, where it gets on a boat and, while navigating, blesses all the other vessels, granting them protection for the upcoming year. It is an extremely beautiful moment, both emotionally and visual. Although almost each town and village of the Algarve has its own carnival festivity, the most important carnival of the region is celebrated in Loulé. The streets of the town explode in a mishmash of colours, songs, dances, people and allegoric cars! There are people dancing everywhere and every car that passes represents something, an idea, an object or (in most of the cases) political satires. It is a perfect event to enjoy with your family and children. You can even get dressed (or undressed, if you prefer to use a small and shiny bikini with flashy feathers) and dance amongst the natives, breathing in this intense and playful atmosphere! If you are seeking for something more picturesque and even less usual, then you should visit the Algarve in the beginning of May. Every year, at the 1st of May, a festivity called Maios (literally means ‘Mays’) occurs. People display dolls made of cloth from their homes, on the street and roads. Each doll represents a personality or ideal. Normally they are holding cardboards with some satirical phrase on it. This tradition dates back from the times of the dictatorship! It is more probable to pass by them on the road between Aljezur and Fuzeta, so if you do and find some of those, don’t be scared by those creepy dolls, they are just merrymakers! Are you fond of the medieval era, history and fairy tales? If so, you should definitely visit one of the medieval fairs that occur regularly in the Algarve! The most famous fairs take place in Castro Marim’s Castle and Silves, which burst into life with hundreds of impersonators, horses, stalls, lights and fires! Usually they interpret battles of the Reconquista of the land from the moors, artisans calling customers to show off their skills, daily live scenes and have medieval tournaments. These fairs usually last for several days, so why don’t you turn into a part-time noble, a soldier, an archer or a fortune-telling gipsy and immerse in this amazing and vivid atmosphere. Try some snacks of that era and be part of this magical village! One of the main alternative attractions of the Algarve during summer is the famous Motard Concentration of Faro, often called the European Biker’s Mecca! It happens every year in the middle of July and draws many thousands of bike enthusiasts from all around the globe. 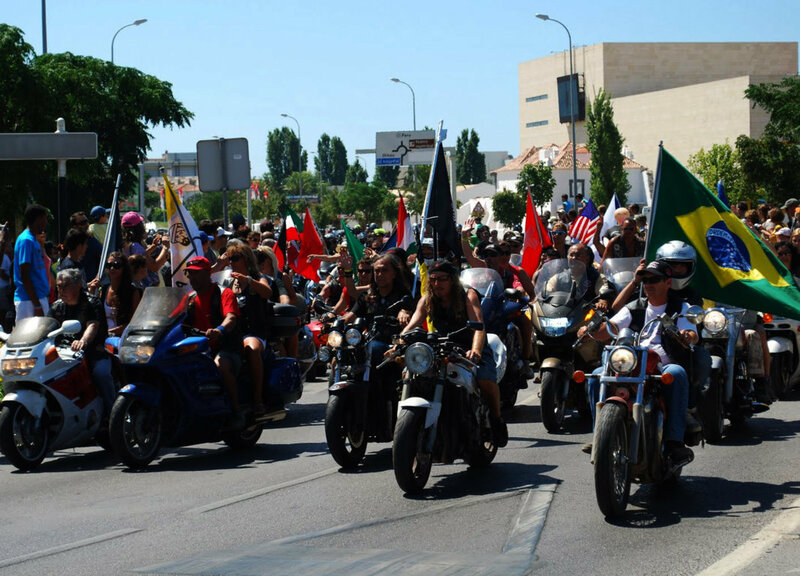 The main activity is a parade that passes through the main streets of Faro, exhibiting all types of bikes, tattoos, people and even biker dogs! One of the strangest ‘bikes’ that we have ever seen was a four wheeled bathtub with a shower head that actually expelled water! And the guy was just sitting inside it, while driving that thing (and it was quite fast!). Anyway, the concentration is not only that; it also includes a festival that takes place for some days on a camping field near Praia de Faro, where they exhibit concerts and striptease shows, tattoo shops and obviously, bikes. If you want something more family friendly, you can visit Armação de Pêra. 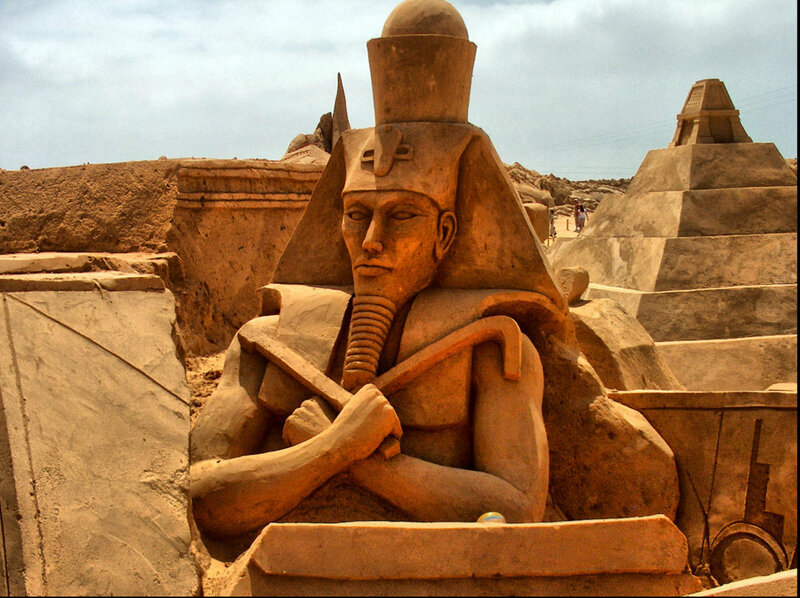 There, during summer, a sand sculpture festival takes place, where artists from all around the world construct and expose their enormous and wonderful sculptures! Grab your kids and head there to make great family memories! You can have fun amongst all the famous characters, personalities, beasts, animals or deities, depending of the theme of the year (every year they choose a different theme)! And what if you suddenly feel the urge to release the creative monster that hides inside you? Well, you can, because they hold a contest for amateurs of all ages! Portugal has a population of about 10 million people, from which about 450.000 live in the Algarve. The population density is about 90 inhabitants per square kilometer, but unequally distributed in the region. For instance, while the coastal regions between Lagos and the Spanish border have a density of about 300 inhabitants per square kilometer, the largest part of the Algarve, which is the mountains of the northern part have only 10 inhabitants per square kilometer. Algarvian people are open-minded. They are friendly for foreigners, including the large immigrant community (especially from Ukraine, Romania and Brazil) and tourists. Portuguese people love to talk, share knowledge and stories with people from different countries. A way of learning about the daily life and habits of the native people is to visit a fishing harbour, a market (as for instance, the municipal market of Olhão), or sitting on a terrace in the pedestrian areas of a town and observe local people in their environment. In terms of religion, there is religious freedom in Portugal and no connection between state and religion. Most Portuguese people are Catholic, a religion that is quite rooted in the Portuguese culture. However, most Portuguese people in the Algarve do not regularly go to church and are quite tolerant of other religions. Traditionally there are religious processions in most villages and towns of the Algarve. 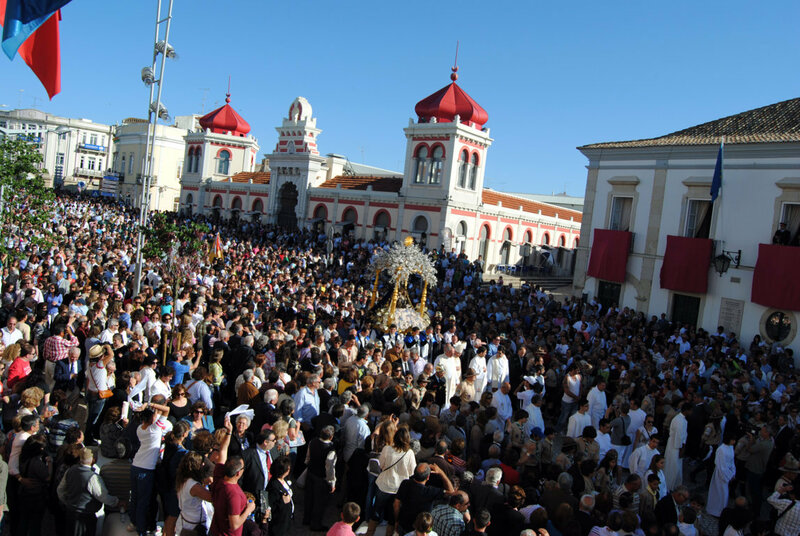 Perhaps the best example is the Mãe Soberana procession in Loulé, which is held every year during Easter. Below you can see a picture of this famous procession. However, religion is more important in the north of Portugal, where usually churches are full on Sundays. On the contrary, people do not care so much about religion in large cities like Lisbon or in the southern part of Portugal. This is perhaps a consequence of the liberal revolution from the 19th century, when in the year 1834 all religious orders were abolished and all religious buildings and properties of the Portuguese Catholic church were nationalised. 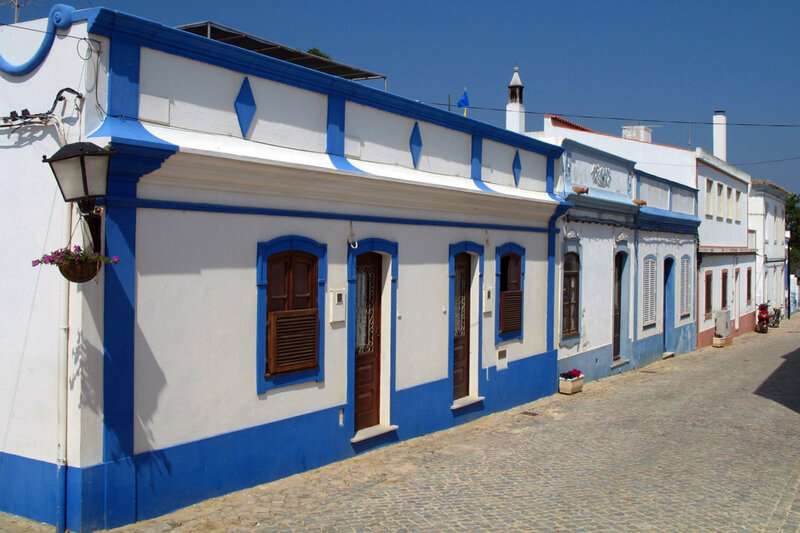 The typical Algarve architecture consists in white washed houses, with geometrically decorated chimneys. These are the main Moorish influences in the architecture of the Algarve. Besides that, you can find many Moorish castles in villages and towns of the Algarve. In some villages in the countryside, there are also coloured frames around doors and windows, for instance in yellow or in blue, which also belong to the Moorish influences. 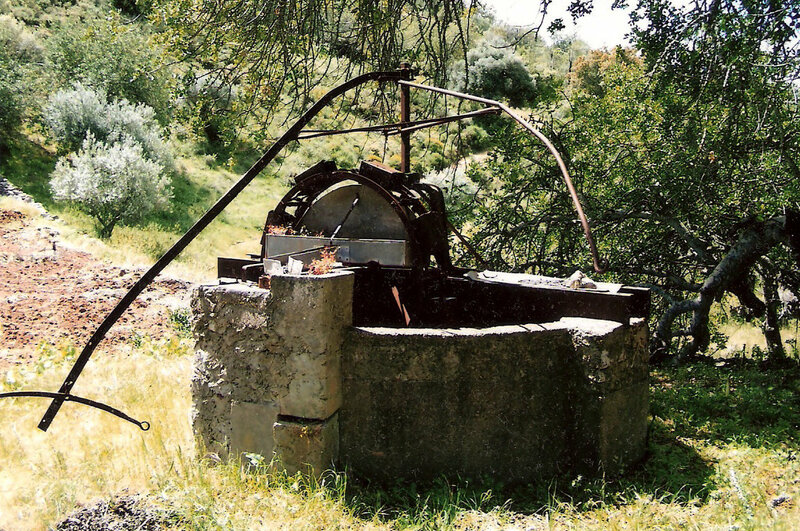 More than 1000 years ago, Moorish agriculture used sophisticated irrigation systems that you can still see all over the Algarve.